Research is at the heart of what we do—discovering proven knowledge and practical methods to improve the environment, health, and safety of our employees and communities. 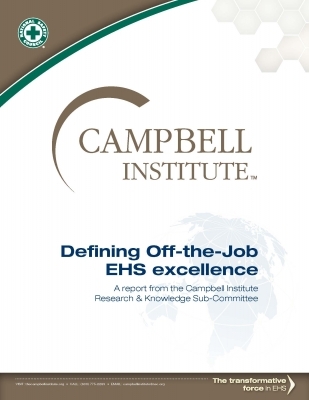 The Campbell Institute recognizes opportunities to advance the science of EHS through original research; learn about our current and past research by downloading our whitepapers. All research papers can be downloaded for free below. 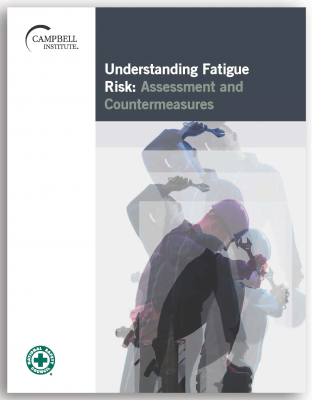 The Fatigue Initiative at the National Safety Council collaborated with Institute member organizations to investigate sources of fatigue risk in the workplace. The project included an operational needs assessment to investigate workplace sources of fatigue and an employee survey to identify employee habits that may introduce fatigue. The information from the assessment and survey can ideally be used to develop strategies and countermeasures, for example educational programs or scheduling policies, to better manage and reduce the risk that fatigue poses in the workplace. The goal of the project was a safer working environment, happier and healthier employees, and an overall better community. In the past twenty years, the US has seen gains in workplace safety, particularly regarding total recordable incident rate (TRIR). This reduction in workplace injuries should not be overshadowed by another more disturbing trend, namely that the number of life-altering injuries and fatal incidents has been on a much slower decline, and in fact has increased for the past three years. The next step in the journey to safety excellence, and one that Institute companies are currently pursuing, is the elimination of serious injuries and life-altering events. 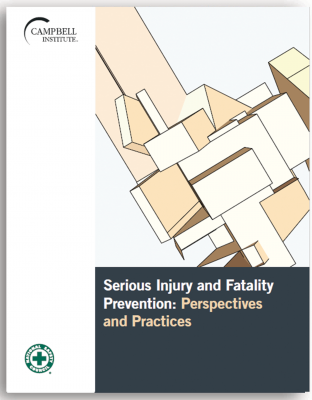 This paper summarizes the current state of research on serious injury and fatality (SIF) prevention and provides insight into how Institute organizations are protecting their workers from harm. 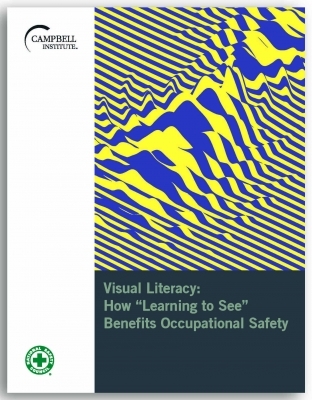 Last year, the Campbell Institute introduced the concept of visual literacy for occupational safety in its collaboration with the Center for Visual Expertise (COVE) and Institute member organizations. The purpose of this research collaboration was and is to evaluate the effectiveness of visual literacy training on workplace health and safety outcomes. That is, does “learning to see” improve our ability to identify hazards in the workplace, keeping us safer while on the job? 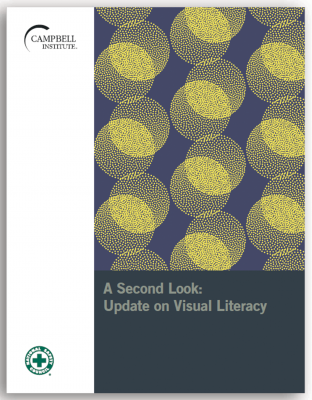 This paper provides background and preliminary research results of the pilot project for visual literacy launched last year. The concept of visual literacy has been around for decades, and has typically been used in developing better teaching and learning techniques in the classroom. Recently however, visual literacy has been gaining traction in the workplace as a skill and tool to better identify occupational hazards that could lead to safety incidents. The following is a brief summary of what visual literacy is and how it can benefit occupational safety. Additionally, this document includes an outline of a new research project on visual literacy involving the Campbell Institute, its members and partners, and the Toledo Museum of Art. 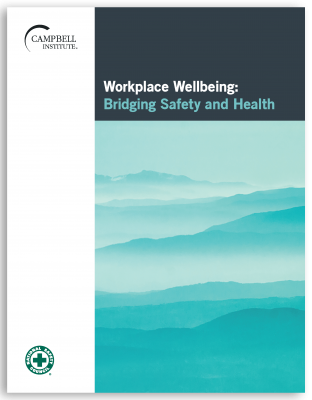 The previous Campbell Institute white paper on worker wellbeing re-introduced the concept of integrated health and safety and how Institute members are striving to implement integrated health and safety strategies. In this second white paper, we summarize and synthesize several existing theoretical frameworks and transition them to applied research and strategy. 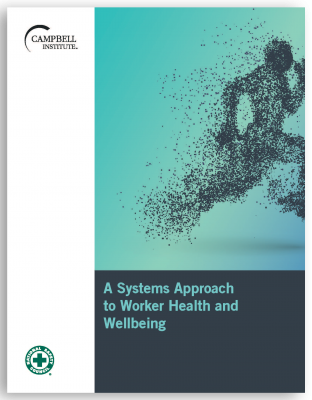 We propose a systems approach to assessing and addressing total worker health and wellbeing. In the same way that occupational safety has evolved from ad-hoc safety initiatives to a more comprehensive safety management system, we put forth a similar maturity model for worker health and wellbeing. Employee health and wellbeing is not just an emerging topic in the EHS field, but one that is quickly gaining momentum. Research, medical, and academic groups are pioneering the concept of integrated health and safety, which is the blending of health and safety programs along a continuum of organizational, personal, and occupational activities to enhance overall worker wellbeing and prevent work-related injuries and illnesses. Underlying this definition is the belief that a true culture of health and safety is dependent on not only a strong safety program, but also a program that focuses on worker wellbeing. Campbell Institute members have already signed on to this belief, which is why many have had wellbeing programs in place for several years. When most organizations think about increasing “sustainability” or ramping up their sustainability activities, it’s likely that they are thinking only about the “green” aspect of sustainability – shrinking their carbon footprint, reducing waste, and doing better by the environment. 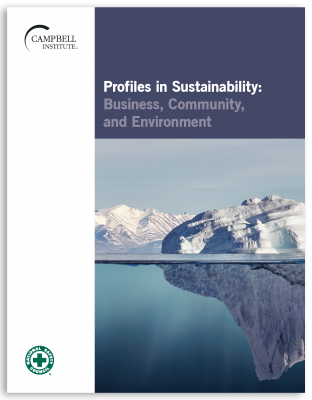 A quick poll of Campbell Institute members reveals, however, that sustainability means much more than just being green. The term implies a corporate responsibility not only to the planet, but also to the organization’s people by protecting worker health and safety, and to profitability by ensuring a viable business for many years to come. Within these pages, you will find examples of how fourteen Campbell Award-winning organizations have achieved success in protecting their workers, eliminating health hazards, improving the environment, and conserving energy, all while improving business performance and increasing profitability. These examples draw attention not only to the organizations’ concrete EHS initiatives, but also to their impact. While these applications originate from the first twelve years of the Award from 2004 to 2015, they actually describe decades of EHS achievements through continuous improvement efforts. The variety of Award winners in terms of industry, geographic location, corporate size/structure, and business systems creates a holistic perspective of EHS management that should be relevant to any organization seeking excellence in EHS. Leading indicators continues to be a key area of interest in the field of environmental, health, and safety. 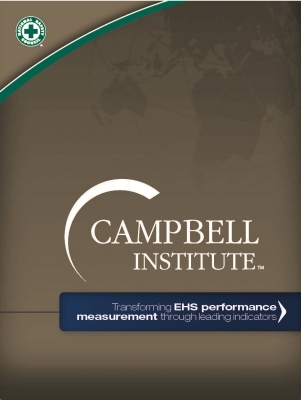 As the next phase in this long-term ongoing study, EHS executives and experts from Campbell Institute Member organizations have shared a wealth of practical leading indicator information – focused on how to design, dig in, implement, and iterate world-class metrics programs. Taken together, these numerous years of mixed-method research, including expert workgroups, surveys, case studies, and quantitative and qualitative analysis, have led to the development of a practical guide and thought map of world-class EHS leading indicators, with lessons learned around defining, aligning, refining, and designing programs that truly work. Large or small, organizations increasingly rely on contractors – to do everything from mail letters to build facilities. It’s become ever more difficult to “get it right” in these complex relationships. 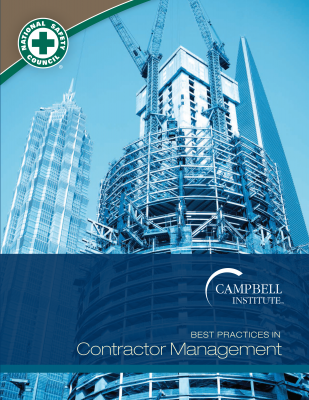 Research conducted by the Campbell Institute at the National Safety Council has revealed a simple but comprehensive lifecycle approach that can be used to manage all stages of contractor relationships, from pre-qualification, risk assessment, and training to on-job monitoring and post-job evaluation. Using a multi-method analysis of the best-of-the-best in EHS, this research not only outlines the principles all organizations need to consider – it looks critically at where organizations most often struggle and offers suggestions for process improvements. Leading indicators continues to be a key area of interest in the field of environmental, health, and safety (EHS). 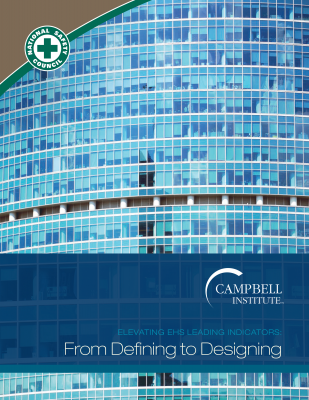 This report describes the second phase of a research project conducted by the Campbell Institute to advance the state of knowledge and practice regarding the use of leading indicators to improve EHS performance. 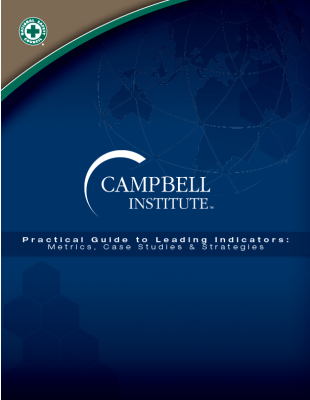 Through group discussions and phone interviews with industry experts, the Campbell Institute constructed a matrix of key leading indicators, their definitions and associated metrics. The matrix represents a collaborative benchmarking effort on the part of Institute Member organizations to catalog of key leading indicators, which can be used as a guide for companies on their journey to safety excellence. Understanding risk and how it is perceived is a crucial step toward creating programs and campaigns to raise awareness and make communities and workplaces safer. 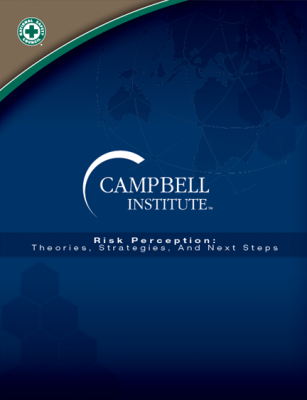 This Campbell Institute literature review looks at the current state of research in the area of risk taking and explores the reasons why individual take risks inside and outside the workplace. The paper summarizes the individual, community, and broader societal factors that affect risk perception and tolerance, then delves into a presentation of several theories explaining risk perception. Examples of how Campbell Institute Member companies have put these theories and concepts into practice are highlighted throughout the paper. 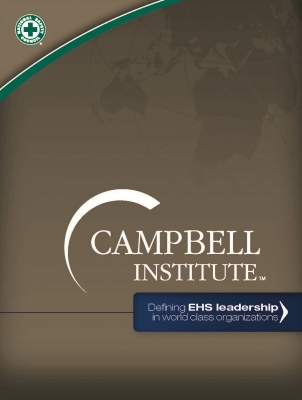 Since its inception, the Campbell Institute has had a focused interest in the role of leadership in building quality organizations with exemplary EHS performance. 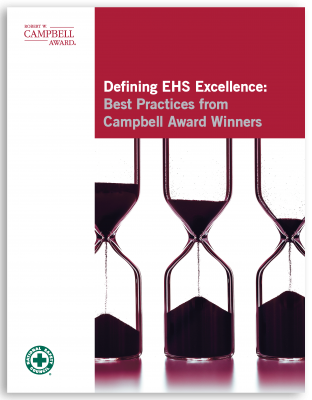 In fact, organizations applying for the Campbell Award must provide concrete evidence of sustained commitment to EHS excellence through leadership. In the spring of 2013, researchers at the Campbell Institute conducted qualitative interviews with past Campbell Award winners and Campbell Institute Charter Members. In short, this study found that leadership commitment and competence, trust and respect, and open communication generate internal motivation, worker empowerment, and voluntary participation. This results in a strong safety culture that can make the transition from being good to great. Today, EHS practitioners continue to rely on injury rates, absenteeism, and other lagging metrics despite the growing acceptance of the fact that these failure-focused measures are ineffective in driving continuous improvement efforts. Leading indicators, on the other hand, appear to offer a more useful gauge of EHS activity by providing early warning signs of potential failure and, thus, enabling organizations to identify and correct deficiencies before they mature into accidents and injuries. Among other results, this research finds that management commitment, engagement, understanding, and support are essential to effective EHS performance measurement. Off-the-job environmental, health, and safety (OTJ EHS) generally refers to the conditions and practices that occur outside of the workplace and impact the health, safety, and well-being of employees as well as their family members, communities, and the environment. Evidence suggests that successful implementation of OTJ EHS initiatives occurs even in the absence of formal policies concerning the issue. Although only 40% of the surveyed companies reported having written OTJ EHS policies, most of those who did said that the policies had a positive impact on the safety of employees and their family members, and findings indicate that most organizations have experienced an increasing level of employee engagement in OTJ EHS.